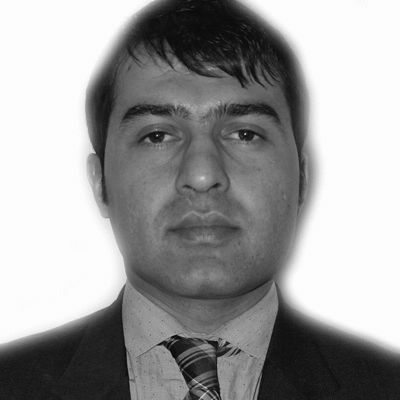 I am writing this in the hope of providing an Afghan perspective on the challenges and achievements of the last decade as the war in Afghanistan is nearing an end. I am tired of hearing about different doomsday scenarios boasted by Afghan as well as international news organizations in the last year or so. Let me give you a brief summary of my experience, as an Afghan living, working and fighting for justice and democracy in my homeland. There was no doubt that the Sept. 11 attacks were planned by extremists who were given sanctuary by the former Taliban regime and supported by Afghanistan's neighboring countries. But based on my own experience, I believe the Taliban regime would have collapsed whether the U.S. had intervened or not. The U.S.-led intervention only sped up the demise of the militant regime. This was evident in the fact that most Afghans did welcome U.S.-led coalition forces back in 2001 as liberators, something unprecedented in the history of the country. More than a decade ago, my countrymen and women cheered as the last fighters of the Taliban regime -- with their Pakistani and other extremist allies -- were driven out of Afghan cities one by one. I remember the day very vividly because the arrival of international forces more than a decade ago coincided with the start of the Muslim holy month of Ramadan. I saw Afghan families in Kabul providing food to coalition forces as they passed through the ruins of what was left of the Afghan capital. Now eleven years later, I am afraid to say that the same feelings and emotions are no longer felt by many Afghans. But the fact remains that despite the many challenges, incredible progress has been made throughout a very short period of time. But the overall objective of U.S. intervention and Afghans' aspirations to live in a free and prosperous country has only been partially realized. No doubt that al-Qaida is weak but still deadly and dangerous. Many extremists groups were pushed out of the country but there are still many new ones who have risen in the last ten years. They still remain active and deadly partly because of the support they receive from certain neighboring countries and also because of their safe havens in Pakistan. But on the positive side of things, great improvements have been made in the areas of education, health care and governance, to include distinction as the first nation in the region to adopt a democratic constitution. Another area of progress has been the increasing strength and confidence of Afghanistan's National Security Forces (ANSF). Having grown sufficiently in capacity and capability, the ANSF now stands at more than 350,000 strong. Providing security for more than 75 percent of the Afghan population, the ANSF is on track to take full charge of Afghanistan's security by the end of 2014. In addition, Afghan Special Forces, a key expected player in 2014, is now numbering at around 30,000 strong. As a former Afghan official with the Afghan ministry of interior, I have witnessed firsthand the growing strength and bravery of Afghan Special Forces. I have witnessed their growing capability in rapid deployment to conduct independent or joint operations with Coalition partners. Looking ahead, this new capability will most likely play an important role in supporting future peacekeeping missions and regional cross-border counter-terrorism operations as Afghanistan's domestic security directly affects regional stability. But ANSF will still need the U.S. and our international partners support in areas of offensive air capability, intelligence gathering and building their fire-ower. The international community has committed to support Afghan security forces beyond 2014. However, they need to make their commitment more visible, tangible and more urgent. President Obama will announce U.S. troops status after 2014 and with that comes changes in the mission statement and the presence of limited number of U.S. troops, who will increasingly rely on Afghan capabilities beyond 2014. As a military man myself, I have to say that Afghan infantry forces are unique in the region but there is an immediate need to expand the Afghan air corps, strategic lift capacity, air defense and border defense systems. I say so because Afghans have seen time and time again the increasing capabilities of their security forces in defending Kabul and other major cities against mass suicide attacks by the Taliban militants. But these attacks have also revealed a key weakness: Afghan Special Ops soldiers relying on U.S.-led NATOs planes and helicopters for operational needs. The Afghan Air Force still remains weak relative to the scope of challenges posed by the militants. In terms of socioeconomic developments, let me say that there have huge improvements in the Afghan economy. I say so because one should have only come over a decade ago to the country to understand the dramatic economic transformation of Afghanistan. But we also have to understand that the Afghan economy is still largely dependent on foreign aid. Yet people often forget the fact that Afghanistan possesses vast mineral resources, estimated to be at hundreds of billions, ready to be exploited and become the backbone of the new Afghan economy. We understand that corruption remains a problem and a hurdle to achieving this goal, but there are also serious efforts under way to tackle corruption. These efforts are led by a new generation of Afghans who are readying themselves to assume their responsibilities as the elections for 2014 is coming up in a year. And I am part of this generation who has come of age over the last decade. Afghan cities have also been transformed over the last decade. Despite insecurity and many economic challenges, Afghans look to the future in terms of building new planned cities. For instance, the development of a new eco-city in the north of Kabul provides a tremendous example of Afghanistan's recovery. Designed by fine Japanese engineers, this exciting new 30-year public-private project is already moving forward as part of a greater initiative to modernize the country. In terms of trade, given the geostrategic location between the Middle East, Central Asia, and the Indian subcontinent, Afghanistan is also uniquely positioned to provide a vital link for the transit of oil and natural gas and other resources to foreign markets. Similarly, Afghanistan's location could serve as an alternate route to facilitate the delivery of Chinese manufactured goods throughout the region. On the geopolitical front, today the country enjoys special status as a major non-NATO ally to the United States and a key strategic partner to the United Kingdom, India, France, Australia, Germany and Italy. Additionally, it's recognized as a potential partner by regional great powers, including Russia and India. As the mission statement of the U.S. military changes, the United States needs Afghanistan as a long-term partner in order to contain Iran and be prepared to stay abreast of the rising extremism and instability in Pakistan. Finally, I understand that some experts may question my overoptimistic outlook for my country. But I tell them that all these many achievements were carried out against the backdrop of a counterinsurgency, while recovering from a 30-year war. Without question, challenges and hard work remain. One year from now will mark the critical juncture of 2014 when the last of NATO combat troops will depart and Afghanistan will experience a political transition as it holds its third democratic presidential election. Being part of a new generation, my belief is that elections will take place and I believe it will be a watershed moment when a new generation of Afghans will assume the leadership of their future. We will prove our enemies wrong and turn this country into a great power and a reliable partner to the United States and many other friends who helped us in the times of need.